Whittier Hospital Medical Center is part of AHMC Healthcare Inc. Located at 9080 Colima Road Whittier, California. Whittier Hospital has been providing healthcare to the residents of the southeast San Gabriel Valley for more than 50 years. A culturally sensitive hospital, the 178-bed facility is fully accredited by the Joint Commission on Accreditation of Healthcare Organizations. The medical staff of approximately 500 physicians represents over 40 specialties providing comprehensive healthcare services. Recipient of the HealthGrades Excellence Award for Maternity Care. Five-Star rated. Provides names of primary/specialty physicians from our medical staff. For information call: 1-800-613-4291. 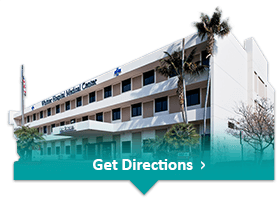 If you have any more questions about the services or special programs we render here at Whittier Hospital Medical Center, please, contact us here.